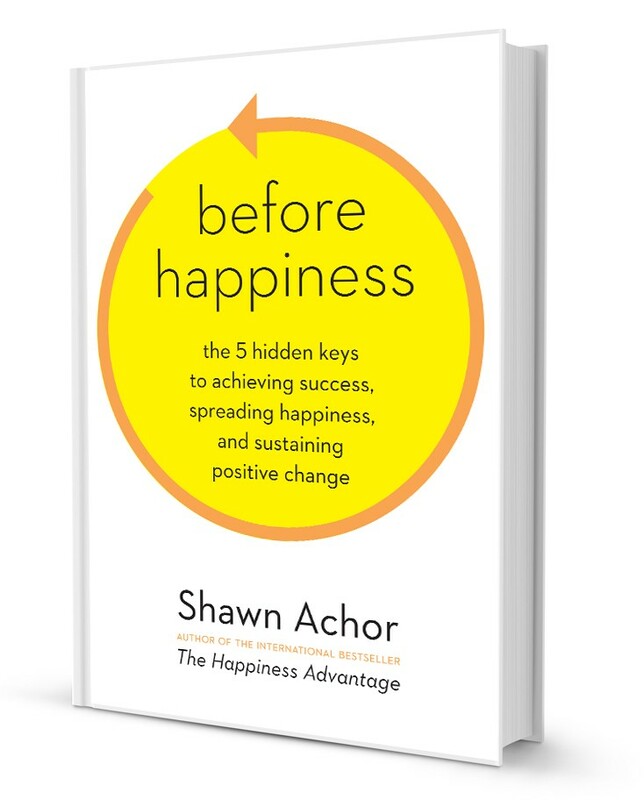 Before Happiness: The 5 Hidden Keys to Achieving Success, Spreading Happiness, and Sustaining Positive Change by Shawn Achor is the follow-on to his international best seller, The Happiness Advantage. I recently reviewed The Upside of Your Dark Side, by Robert Biswas-Deiner and Todd Kashdan, and shared that I had mixed feelings about it. This book could have been called The Upside of Your Upside, and while overall it’s a very good book, I have mixed feelings about it as well. Before Happiness is, more than anything else, about positive attitude. 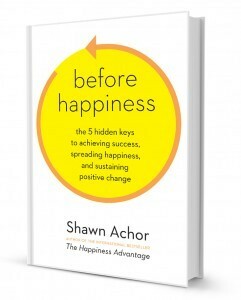 Achor writes in his introduction: “Before happiness comes your perception of the world. So before we can be happy and successful, we need to create a positive reality that allows us to see the possibility of both.” Achor makes the important point that we have to believe it’s possible that real change is possible; we need what Stanford professor Carol Dweck calls a growth mindset. Choosing the most valuable reality: How to see multiple realities and select the one that leads to positive growth. Mapping your success route: How to identify and chart the best route to accomplishing your goals. Finding success accelerants: How to use success accelerants to propel you more quickly toward your goals. Boosting your positive signal by eliminating the negative noise: How to boost the signal that points to greater opportunities, possibilities, and resources. Transferring your positive reality to others: How to amplify the effects of a positive mindset by transferring your positive reality to others. Again much of this boils down to having a good attitude. That is certainly important; one of the four sections of my workshop The Science of Being Happy and Productive at Work is called Practice Positivity. It may be cliché, but positive attitude simply works for most of us most of the time, science suggests. Achor relays that Dennis Proffitt and his colleagues at the University of Virginia found that when we feel tired or negative, we believe that hills are significantly higher and backpacks are significantly heavier. My main objection to Before Happiness is that the science is repeatedly overstated. Achor writes several times that studies “prove” one claim or another. Well, science once “proved” that human brains don’t significantly change once we reach adulthood, and we now “know” that neuroplasticity is a reality. I don’t intend to be nit-picking here, and I don’t believe I am nit-picking. Social sciences in general and psychology in particular are experiencing what some call a “replication crisis”, where numerous studies that most of us took as fact have failed to be reproduced when a study was repeated by another group of scientists in a different location. This does NOT mean that all of those original studies are wrong; sometimes the failure to replicate a study may be due to cultural factors or slight differences in the procedures used. 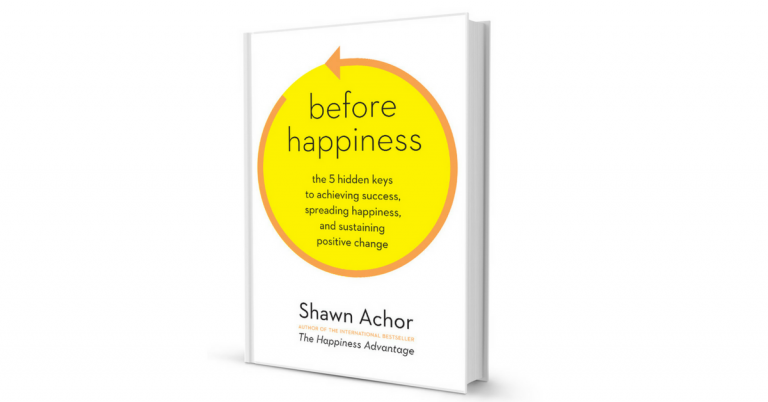 But it does mean that all of us–and especially people like Shawn Achor and I that make a living teaching others the science of happiness–need to be careful in how we describe the results of studies. I prefer language such as “studies suggest” or “researchers conclude that…” to remind us all that science is not perfect and our own experience should be our ultimate guide to living a happier and more successful life. Still, Before Happiness is filled with intriguing science that can help us lead better lives. As one of my–and Achor’s–favorite examples, to underscore the importance of sleep on happiness, Achor relays data that if you memorize sets of positive, neutral, and negative words, and then sleep 7-8 hours, you will remember about 80 percent of all words the following day. But if you skip a night’s sleep and stay up for 36 hours, your brain will still remember most of the negative and neutral words, but will remember, on average, 59 percent fewer words. Before Happiness is, overall, an excellent reminder that attitude really works to bring happiness, that optimism can bring success in many situations, and that meaning is central to work and life satisfaction. I recommend the book, and I recommend you take some of the scientific claims with a grain of salt, and always remember that science comes from humans, and produces averages. Sometimes science is wrong, and you are not an average. Always let your own experiments and experiences be your strongest guide to a meaningful, happy, and successful life.